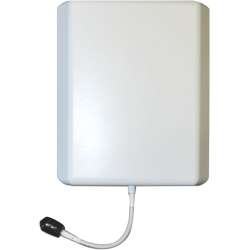 Congrats to Kim S. of Cypress, Texas who just won a $25.00 Restaurant.com gift code for writing a review for Cellphone-Mate 50ohm Interior Panel Antenna - CM248W at 3Gstore.com! Every week we randomly pick one product review from the previous week and award the writer a $25.00 gift code. We appreciate ALL the reviews our customers write, whether they are positive or negative - honest reviews like Kim S.\'s help other customers decide if the product is right for them. After you purchase a product from 3Gstore.com, we encourage you to log in and 3Gstore.com and leave a review letting people know how the product worked for you - you'll be helping others, and you'll automatically be entered to win a restaurant.com gift code!. I don't usually write reviews but felt this one very worthy. This was extremely easy to install with the additional components we purchased. We have 4800SF metal building and had NO cell reception inside for 5 years. Wish I would have known about this sooner. As soon as it was hooked up we all had full bars, no matter where we were inside the building. The owner made a comment yesterday that he actually walks inside the building to make cell calls now because he has better reception inside than standing outside. Great customer service at 3G. 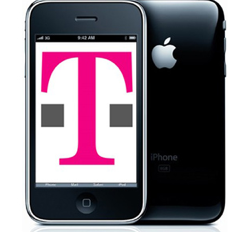 T-mobile is one of the last carriers to sell the iPhone. April 12th is the launch date and customers are excited. iPhone 5 will be available for qualifying customers with T-Mobile’s Simple Choice Plan for $99.99 down and $20 per month for 24 months. Since there is no standard two-year service agreement, you will have to pay T-Mobile an extra $20 over a 24-month span to fully pay off the cost of the device. At the same time, such gradual payments should prove to be very attractive to customers especially since they’re letting you pay less up front. Customers also have the option of paying the full price for the device up front and not paying T-Mobile any extra fees afterward. This will likely lead to many more customers looking for equipment to boost their signal on the phone. Providers don't have coverage everywhere, and because T-Mobile uses a different cellular frequency for their data, the boosting solutions have been rather limited. So, Wilson Electronics came out with a virtually universal cradle device that the iPhone could sit in and receive a boosted signal. Another perk is it works with just about any phone and even most of the jetpacks/mifi/hotspots. The product is called the Wilson Sleek Universal and it is one of 3Gstore’s top selling items. Wilson first came out with the Wilson Sleek and since then made the Wilson 4g-V and the 4g-A. The original sleek boosts voice and 2g/3g data, as does the 4G-V and 4G-A models. However, the advantage to the 4G models is that they also support 4G LTE - on either Verizon or AT&T. You can purchase all your boosting equipment at 3gstore! T-Mobile confirmed that it has reduced its workforce by an unspecified number of employees. The company said that today's headcount reduction is based in part on its new business strategy, which was announced earlier this week. "We are making some operational changes to better align our business with our new strategy and position T-Mobile for growth," the company said in a statement. Customer service at every level remains our highest priority." The Seattle Times reported that between 200 and 300 employees were let go from T-Mobile's Bellevue headquarters. T-Mobile did not confirm any numbers. Can Google keep a Secret?